In 2002 Heidi Gosman and Penny Klein launched Heidi Klein - the UK's first one-stop holiday shop. This Notting Hill boutique is evocative of a Hampton’s retreat in whitewashed wood adorned with palm leaves, bleached coral, and driftwood, complete with the delicate scent of coconut. Upon entering, clients are instantly elevated to a sun-kissed mindset that affords the perfect ambiance for holiday shopping. Two years later, the Heidi Klein collection was launched. The inspiration came from listening to clients, understanding what works and what doesn’t, and then creating a collection of exquisitely cut swimwear with an impeccable fit. Crafted with love, the collection was an immediate success and was soon distributed through key department stores, boutiques and resorts worldwide. With a second boutique opening in 2004 in Chelsea, London, and now selling in over 150 stores in 39 countries globally, Heidi Klein remains an independent brand that evolves each season with chic and elegant designs for the well-traveled client. 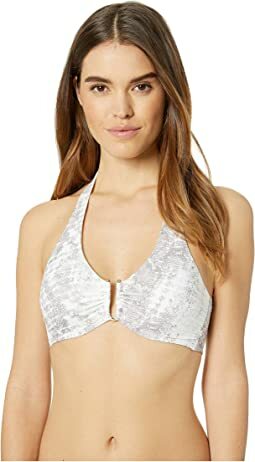 I know you are thinking, there is no way a swim top could ever be worth $190...BUT if you are a small person with an ample chest who never can find great swimwear that fits, this top will change your life! 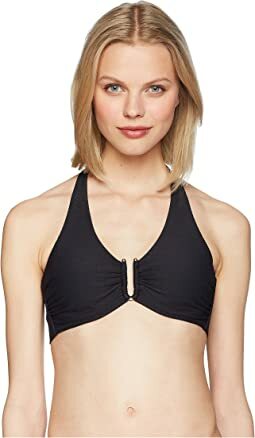 The fit is so amazing, so comfortable, and has the kind of gently minimizing effect of a great bra. I highly recommend it.